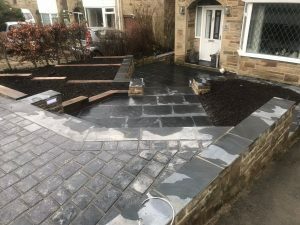 Completed back in Summer 2016, this rear garden now has an equally stunning landscape partner for all to see – at the front of the property in Hartshead Moor. 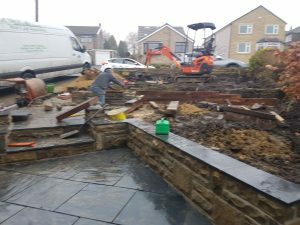 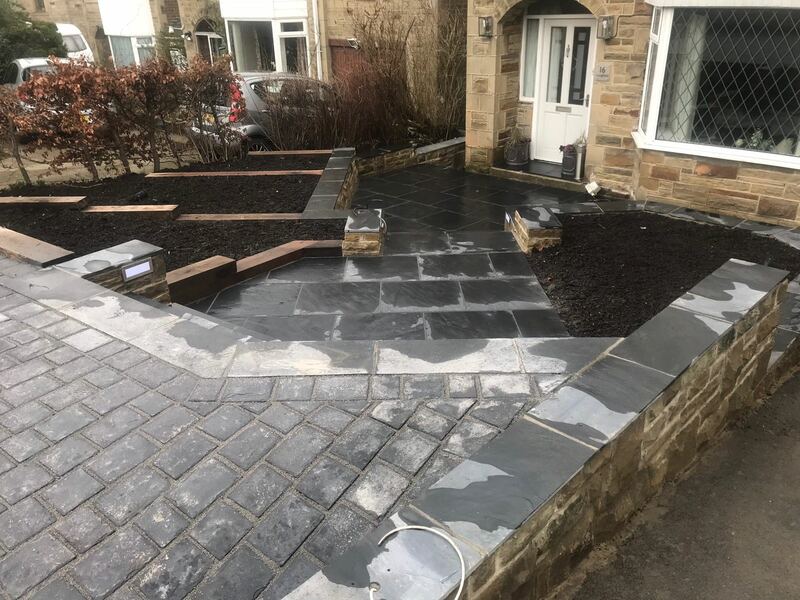 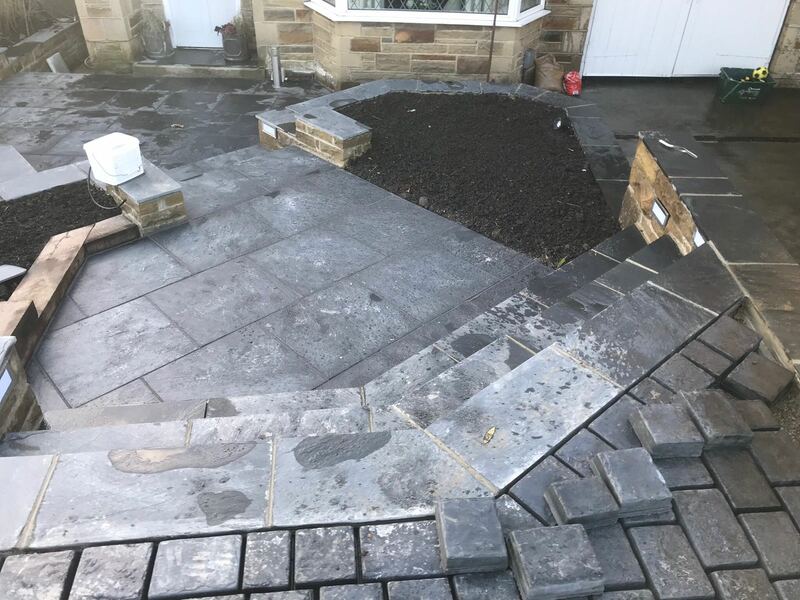 So impressed with their new back garden aspect, the homeowners have invited the Paxman Landscapes team back to extend the impressive garden design and construction into the front garden. 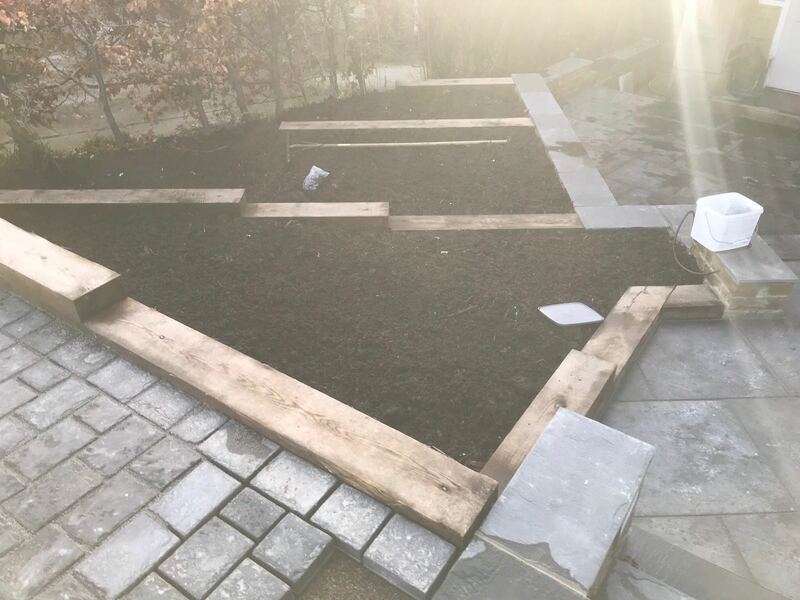 Finished in January 2018, the completed project’s construction owes its professional finish not only to the hard and soft landscaping teams at Paxman’s, but to their selection, supply and installation of the best in landscaping materials. 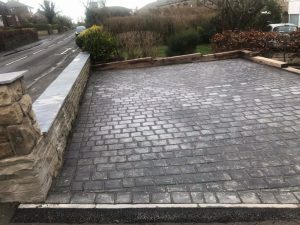 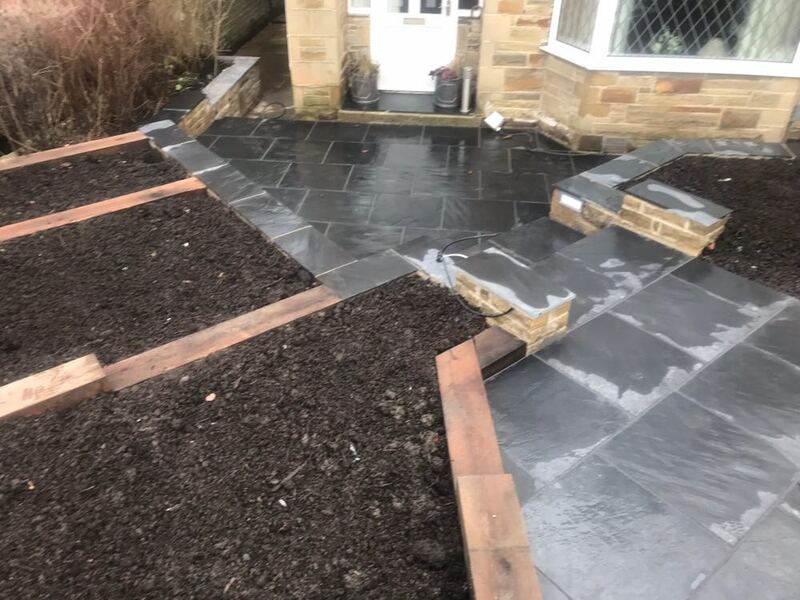 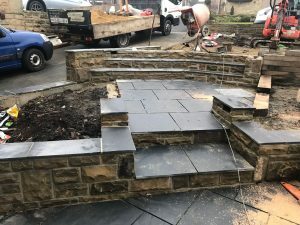 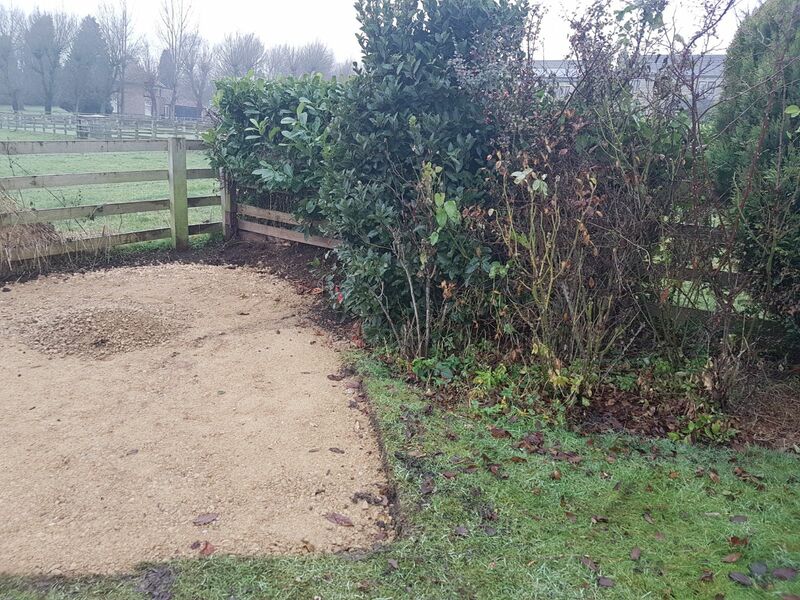 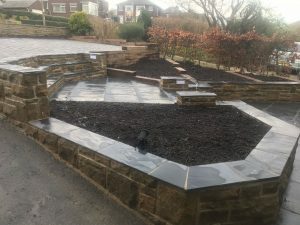 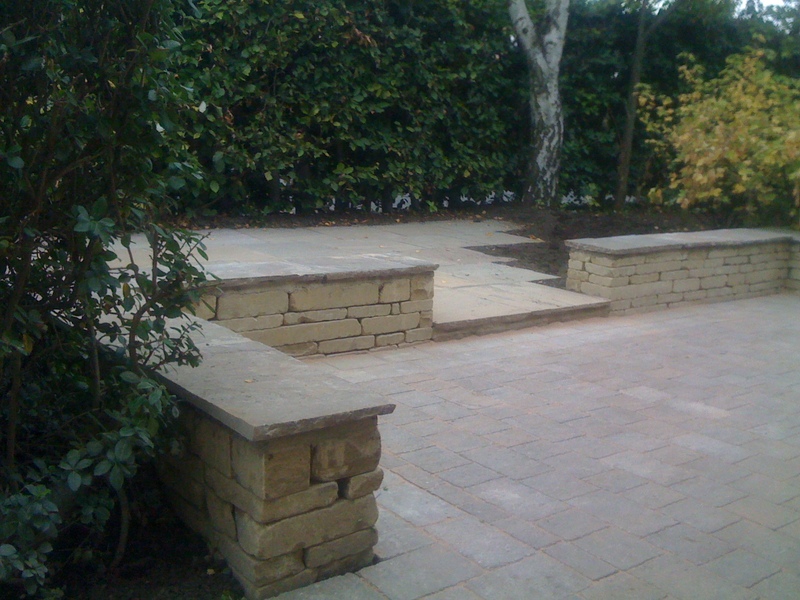 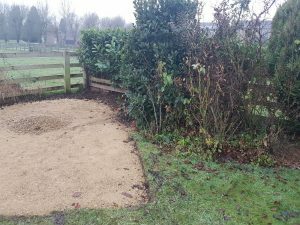 As a Marshall Registered Installer, the team made full use of the selection of block paving, with oak sleepers to create raised beds and stonewalling to complement. 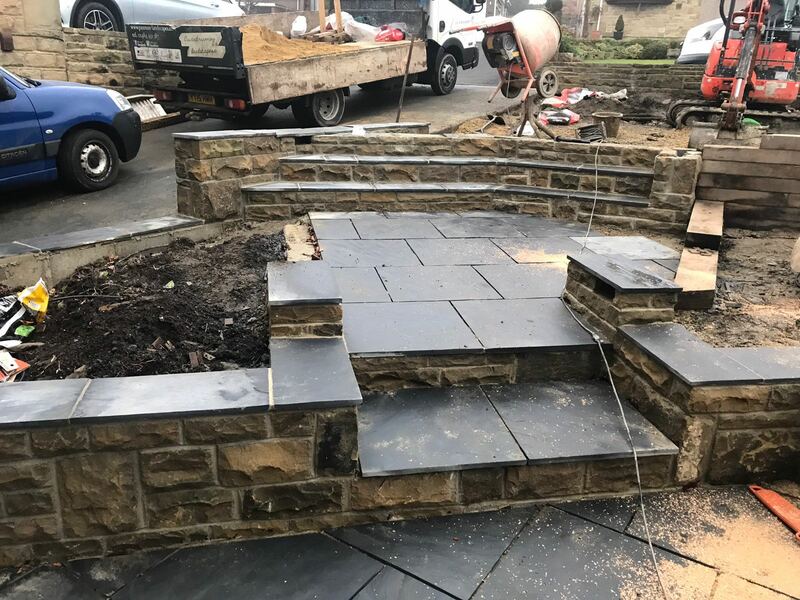 The new steps – complete with integral lighting – welcome the owners and visiting friends to the property with an enviable first impression. 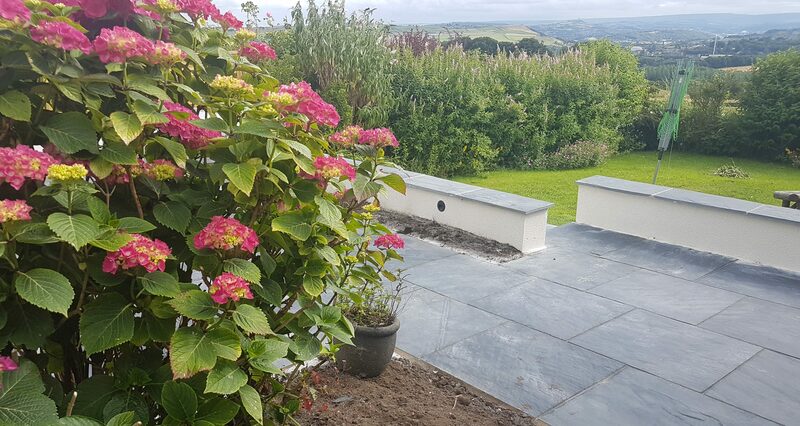 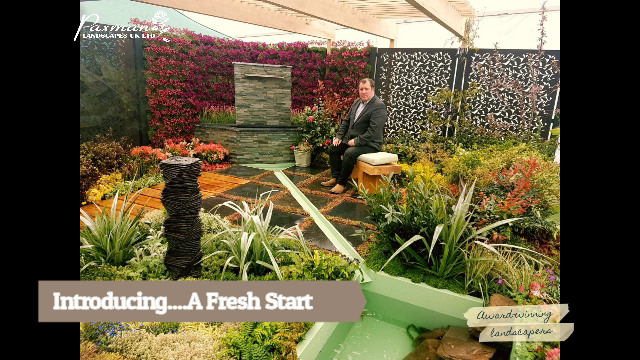 To contact the team to discuss how Paxman Landscapes could help breathe new life into your garden landscape, get in touch today.